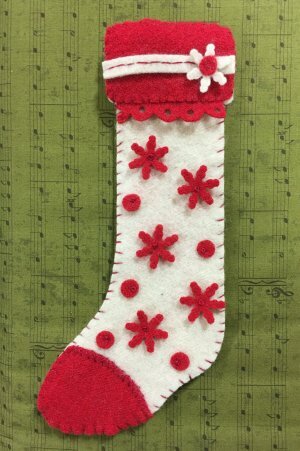 Wool Applique Class & Kit for less than $15? Sign up today at Hen & Chicks Studio! Wednesday, December 7th from 1 to 4 pm? Join Heidi for this hands-on class at Hen & Chicks Studio. have kits ready so that you can start stitching! and needle -- we just ask that you bring a pair of scissors.